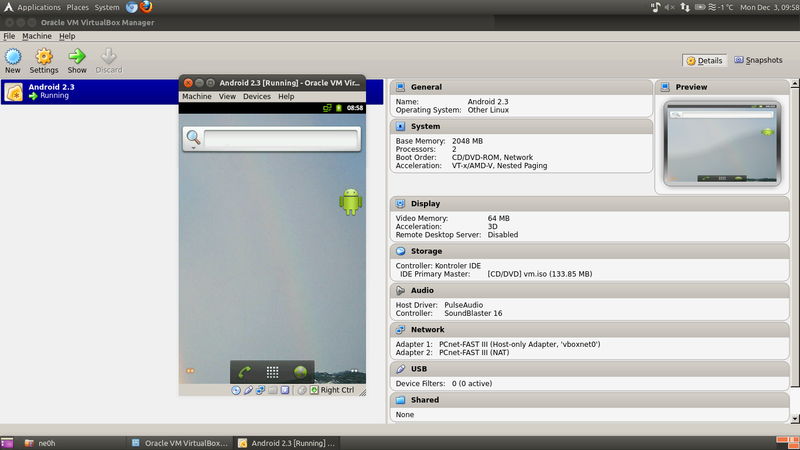 Google Android Emulator works on top of the x86 processor architecture, that’s why the efficiency is quite low. Luckily, there exists a project called Android-x86 which uses kernel compiled to x86 architecture, so you can use it as a native system (with full x86 instruction set). 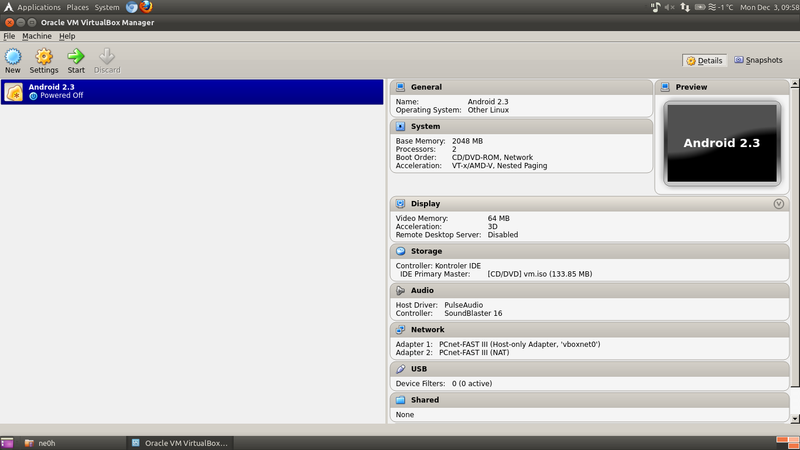 Now you should have vm.iso file in “android-x86/out/target/product/vm/”. If not, look for errors and try again. assign network address during boot i.e "192.168.56.101". sure about that, but it seems to work that way). "if [ "$netdev" != "lo" -a "$netdev" != "wmaster0" ]; then"
# Now let's add new service to init.rc, add line before "class_start default"
VBoxManage setextradata "YourVMName" "CustomVideoMode1" "320x480x16"
VBoxManage setextradata "YourVMName" "CustomVideoMode2" "800x600x16"